Carol Blanc, mother of Marine Lance Cpl. 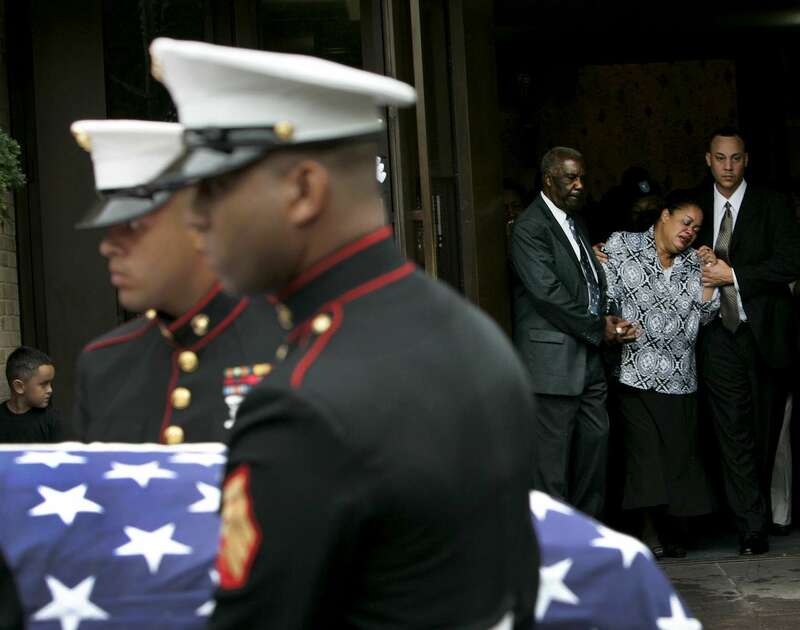 Leopold Damas who was killed in Afganistan, weeps as the flag-draped casket of her son was carried by United States Marines out of SS. Joachim and Anne Church in Queens, New York on August 29, 2009.